Hotel San Marco offers free parking and modern rooms with TV and minibar, all just outside Siena, a 20-minute walk from the historic centre. The Tangenziale Ovest ring road linking with Florence is 1.5 km away. On site you will find a TV lounge and a bar as a well as the breakfast room where a varied homemade breakfast will be served. Public buses leave from nearby the hotel every 15 minutes and take you to Siena’s centre. Staff at San Marco’s 24-hour reception will be pleased to provide you with tickets, as well as tourist advice. The Bed and Breakfast Villa Veronica is set in the heart of the Chianti Classico district, just 2.5 miles from Siena, surrounded by a beautiful private garden. It features a large outdoor swimming pool and comfortable guest rooms. Villa Veronica is a great choice for those wishing to spend a relaxing vacation in the countryside around Sienna, close to a number of picturesque towns and villages. B&B Villa Peragnola is surrounded by a park with a beautiful salt-water swimming pool. It is located a 10-minute walk from Siena Train Station, and offers free parking, and rooms with private bathrooms. Villa Peragnola has a modern, minimalist style. Its large rooms come equipped with air conditioning, a satellite LCD TV, and free wired internet. Free Wi-Fi is provided in public areas. A generous buffet is served for breakfast, including freshly baked croissants, homemade cake, jams, yogurt, savory food, and hot drinks. Buses leading to Florence, Bologna, Pisa and Rome are 330 yards from the property. Guests can also walk to Piazza del Campo in about 30 minutes. The Hotel La Perla is located in the heart of the historic center of Siena, near Piazza Indipendenza. The hotel is 50 yards from the famous Piazza del Campo and 200 yards from the Cathedral. La Perla is located on the 3rd floor of a medieval palace, with splendid views of the the Palazzo Ballata tower and the city rooftops, and also of the Saint Dominique Church and the Monastery of Saint Catherine. The hotel offers bright rooms for one, 2 and 3 guests. Most rooms are located on the 3rd floor but there are also 2 rooms in the penthouse with views over the Cathedral and Saint Dominique. Villa Montarioso is an ancient, noble villa from the 19th century, set inside an extensive park in the quiet, green hills of the historical city of Palio. Villa Montarioso is an ideal refuge for a pleasant stay, where you will be able to fully enjoy the rich and historic cultural and artistic traditions of Palio. The Villa is comprised of 23 elegant rooms, equipped with all modern comforts. The town of Monteriggioni is 8 km away while the historic centre of Siena is only 4 km away. Grand Hotel Continental is a luxury, 5-star hotel in the most popular shopping district of Siena, within the ancient walls. It offers comfortable guest rooms, which feature period furniture. With such a central location in Siena, the cathedral and Piazza del Campo are both just a 5-minute walk away. Grand Hotel Continental dates back to the 17th century and has original frescoes. You can enjoy regional dishes and a wide selection of fine wines at the elegant restaurant. This modern B&B faces Siena's Porta Camollia, a 10-minute walk from Piazza del Campo and the cathedral. Rooms offer a private bathroom, LCD TV, independent air conditioning and Free Wi-Fi. With access to Siena Train Station by a nearby escalator, Bed and Breakfast Camollia allows guests to load/unload baggage in front of the building. Families will appreciate being near the park in Piazza d'Armi. Guided tours and car rentals can be arranged At Camollia Bed and Breakfast. The owners are also available for informal and personalized bike tours of the city. Fullino Nero Rta offers rustic-style apartments with kitchen, in a rural property overlooking the beautiful Tuscan countryside, a 10-minute drive from Siena. Parking is free. Apartments at the Fullino Nero come with a private entrance and Wi-Fi access. They also feature wood-beam ceilings and terracotta floors, while some have views of the surrounding countryside. Fullino Nero Rta - Residenza Turistico Alberghiera is close to Mount Maggio and the green Montagnola Senese area. Hotel Arcobaleno is an elegant villa that dates back to the 1800s. It is just outside Siena, opposite Palasport Mens Sana Stadium, and has excellent public transportation access to the center of the city. The friendly staff at the Arcobaleno Hotel will instantly make you feel at home. The hotel features a free parking lot and an elegant restaurant. You will find a number of shops and restaurants in the neighborhood. There is also a public swimming pool and tennis courts. Offering a central location, this former monastery dates back to the 1400s. Its simple rooms come with free Wi-Fi and satellite TV. Siena Cathedral is a 10-minute walk away. With classic furnishings, all rooms at Piccolo Hotel Il Palio include a minibar. Each has a private bathroom with hairdryer and toiletry set. Breakfast at Il Palio is continental style, with cold meats, cheeses and croissants. A choice of restaurants, cafés and bars are located in the surrounding streets. Siena Train Station is 1.5 km away, and it is a 15-minute walk to Siena University. Max Hotel Executive, now under new management, is in the Scacciapensieri residential district of Siena, a 10 minute walk from the train station. All air-conditioned rooms feature an LCD TV with Sky satellite channels. Next to a large green park, this hotel has a quiet location and offers free parking and excellent bus services into Siena's historic center, one mile away. Rooms at the Executive Max Hotel have a modern and elegant design. They feature a private bathroom, a minibar and some even have a small balcony. A buffet breakfast is served each morning, and the coffee shop is open throughout the day. The restaurant offers traditional Tuscan cuisine with a choice of meat or fish. Both fixed meal and menu options are available. Situated only 440 yards from the historic center of Siena, Hotel Palazzo di Valli is a gorgeous 18th century villa beautifully decorated and smartly furnished in traditional Tuscan style. The hotel is situated on a hill, surrounded by an 18-acre garden with olive trees. The hotel is just a 10 minute walk from the center of town. This small, charming hotel has good public transport links and easy access to the region’s road network. Internet access is free. The hotel offers comfortable, clean accommodation; single, double and triple rooms are available. Each well-appointed, air conditioned room is spacious, light and airy. Guests have access to a kitchen/dining room on request and there is an internet access point available at an additional cost. The hotel offers free parking. Soggiorno Lo Stellino is just 50 metres from the bus stop and buses run regularly every 20 minutes to the beautiful, historic centre of Siena. The city’s railway station is also very close by. Surrounded by a peaceful garden in Siena, the Hotel Garden is a 15-minute walk from Porta Camollia, the ancient city gate. It offers an outdoor pool and a tennis court, as well as a breakfast buffet served on the terrace. All rooms at the 4-star Garden are spacious and are located either in the main villa or in the modern annexes. They mostly feature classic design and antique furniture. Facilities include a satellite TV, Wi-Fi and a minibar. Serving meals on the terrace overlooking Siena, the restaurant La Limonaia specializes in Tuscan cuisine and has an extensive list of local wines. Breakfast includes fresh croissants and pastries, along with eggs, bacon and cheese. Gluten-free products are also available upon request. The property is a 15-minute walk from the Siena Train Station. Buses stop next to the hotel and link with Siena’s center and San Gimignano. With its hilltop location, Sangallo Park Hotel offers panoramic views out over Siena and the surrounding Tuscan countryside. Only half a mile from Siena Train Station, it features an outdoor pool and free parking lot. Rooms here are bright and welcoming with hardwood floors and air conditioning. They also feature satellite TV and a minibar. Some rooms overlook the garden. A varied buffet breakfast is served each morning. Drinks are available from the bar and front desk is open 24 hours a day. Sangallo Park provides free city maps and is a 5 minute drive from Siena's historic center. A local bus runs during the day. Offering elegant rooms with free Wi-Fi and air conditioning, Villa Piccola Siena is a restored 19th-century building located a 10-minute walk from Siena Train Station. A small free parking is available on site, and there is free public parking in the area. The rooms include terracotta floors and classic furnishings. Some feature exposed wood beams on the ceilings. Breakfast at the Piccola Siena includes fresh fruit, fruit juices, pastries, cheese and ham. Enjoy complete independence in these self-catering apartments, located just 1.5 miles from Siena. There are beautiful views of the Tuscan countryside and a range of amenities. Apartments at Il Pettirosso have a fully equipped kitchenette where you can prepare your own meals. Each apartment features Satellite TV, air conditioning, and a Wi-Fi area. Each morning, enjoy an Italian breakfast of croissants, jams and crackers, which is left for you in the apartment. During the summer months you can relax in the garden and the swimming pool at the B&B Il Pettirosso. A leisure center with tennis courts and a golf course is just half a mile away. Just off of Siena's beltway, Hotel Palazzo dei Priori features air-conditioned rooms with satellite TV. In its spacious garden, it features a terrace, and free Wi-Fi throughout. Parking is free. Rooms have simple furnishings and a minibar. Each includes a private bathroom with free toiletries and hairdryer. Breakfast is a varied buffet. Siena Train Station is 2.5 miles from the Palazzo dei Priori Hotel. Florence Airport is a one-hour drive away. Set between the center of town and the main train station, Hotel Minerva offers fabulous views of Siena. Stay in clean, modestly furnished, spacious accommodations. Hotel Minerva features rooms with air conditioning and free Wi-Fi throughout the entire building Some rooms feature panoramic balconies overlooking the historic center. You can walk to the center of the city in just 15 minutes from Hotel Minerva. Enjoy on-site parking, a meeting room, luggage storage and a free, continental breakfast. Helpful and friendly staff can assist you with tourist information and restaurant recommendations. Hotel Minerva is near main highway exits. From here you can easily reach the famous Chianti region and well-known cities such as Florence, San Gimignano and Pisa. The hotel is centrally located on Via Montanini, an elegant shopping street only 220 yards from the famous Piazza del Campo and very close to the bus station. 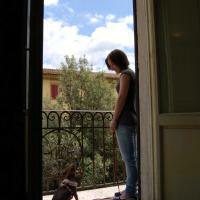 Situated in the historic quarter, it is a short walk from all the major sights. Staff are happy to assist you with directions and make suggestions for visits. The hotel has a rich history and great character. Until 1262, it was a former palace owned by the noble Bulgarini family. Afterwards the building was owned by Ghinibaldo di Saracino and his wife Sapia Salvani. The old Ponzi’s tower can be seen in the hotel’s façade. In the 19th century, the hotel was called Locanda delle Armi d’Inghilterra and now it is known as Cannon d’Oro. Just across the Church of San Francesco and close to the station, Hotel Moderno is close to the escalator that goes down to the historic center of Siena. Enjoy comfortable, modern rooms and the traditional Tuscan hospitality. The hotel's restaurant offers typical regional and international dishes as well as an exquisite selection of local wines. In nice weather, you can dine on the terrace, with views of the pleasant garden. Surrounded by olive groves and the beautiful hills of Chianti, Hotel Mercure Siena Degli Ulivi is a 10-minute drive from the historic city walls. It has free parking, a gym and spacious rooms. Siena Degli Ulivi Mercure Hotel features a refined restaurant, serving classic Italian, local and Tuscan cuisine for dinner. Breakfast is a large international buffet. A stylish bar, a fitness center with Technogym equipment and a sauna are available. The lobby has a beautiful conservatory where you can enjoy drinks. Mercure Hotel Degli Ulivi is just over a quarter mile from Siena's Policlinico Santa Maria alle Scotte hospital. The 3-star Albergo Chiusarelli is close to Siena Bus Station. Rooms have been completely renovated according to NeoClassical style. A buffet breakfast is served daily. The rooms have air conditioning, a satellite TV with Sky satellite channels Vision channels, and a private bathroom with bathtub or shower. Some rooms overlook the center of town, and some offer views of the football stadium's park. The Chiusarelli is in a 3-story building from the 19th century, with no elevator. The staff can assist you with tourist and travel information. This hotel is a family hotel, whose staff always strives to make guests' stay as pleasant as possible by taking care of even the smallest details. Hotel Il Giardino's central position on the old wall offers a fantastic and unforgettable view. Located inside Siena's historic walls, Hotel Athena offers free parking, an elegant Italian restaurant and a furnished terrace with views of the town and the surrounding valley. Internet is free. With air conditioning, rooms are spacious and elegantly furnished with warm color schemes and tile or carpet floors. Rooms on the upper floors offer beautiful views. A varied buffet breakfast is served each morning, while for dinner the restaurant serves a mix of international favorites and Tuscan dishes and fine wines. Hotel Athena is less than a 10 minute walk from Siena Cathedral and the main square of Piazza del Campo. Siena University campus is also just a short walk away. 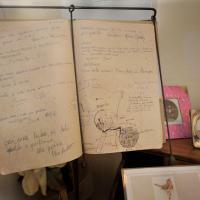 The staff at the Athena Hotel can arrange tours of the Chianti and Brunello wine regions. Hotel Italia is a charming 20-minute walk from Siena's Piazza del Campo. In summer, enjoy free access to a nearby swimming pool and tennis court. The escalator which connects the historic center to Siena Station is 165 ft from the hotel. Buses stop just 100 ft away. Inside this hotel you can find a satellite TV room, a bar and internet terminals in the lobby. Wi-Fi access is available throughout, and is free in some rooms. Breakfast at Hotel Italia is a generous buffet of sweet and savory items, including homemade pastries and a chocolate fondue. Gluten-free and vegan alternatives are provided. The property features a small parking subject to availability. Guests also have free parking at the partner Hotel Garden, a 10-minute walk away. Tennis courts and an outdoor pool are also available there. Agriturismo La Selva is a large property just 3 miles North of Siena, a short drive from Val d'Orcia and Val d'Elsa. It offers free parking and an outdoor swimming pool. First mentioned in Siena's official records in 1293, the valley around La Selva was once a lake. Ancient Etruscan anchors are still being uncovered form the site. The Agriturismo offers furnished apartments and guest rooms in 2 restored farmhouses of the 12th century. 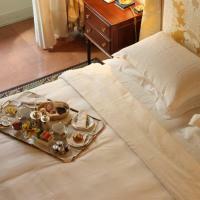 Accommodationa are comfortably furnished in a traditional Tuscan style. Residenza d'Epoca Il Casato is a 14th-century building set right just behind Piazza del Campo, in the heart of Siena. You can have your free breakfast out on the grounds. Il Casato has been completely renovated and still features classic Tuscan décor and old frescoes. All of Residenza d'Epoca's rooms have satellite TV and minibars. Some rooms have balconies overlooking the grounds. You can also have breakfast served in your room for no extra charge. Il Casato's staff will take baggage to your room. Located in historic central Siena, Palazzo Fani Mignanelli is 55 yards from Piazza Del Campo. It offers spacious and soundproofed rooms with free Wi-Fi, just 270 yards from Siena Cathedral. Rooms at Residenza d’Epoca Palazzo Fani Mignanelli are air conditioned and feature flat-screen satellite TVs. They also have a minibar and a small table with chairs. Some rooms have panoramic views of the city. Residenza d’Epoca is located on the third floor of a renovated antique building. The staff can help book guided city tours and excursions in the Tuscan countryside. The buffet breakfast includes savory and sweet food and can be served either in the dining room or directly in your room. 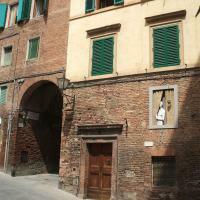 The Residenza Fani Mignanelli is on Siena’s main shopping street, around 220 yards from a number of bus stops. Siena Train Station is a 20-minute walk away. This little bed and breakfast enjoys a great location in the historic center of Siena, just a 10 minute walk from Piazza del Campo. Stay in a restored 16th-century tower. All of Hotel Antica Torre’s 8 rooms are full of character, with wooden ceiling beams and original stonework. Despite their medieval ambiance, rooms come with modern amenities including air-conditioning and satellite TV. Rooms on the top level offer beautiful views over Siena’s rooftops and the green surrounding countryside. Hotel Antica Torre is close to shops, restaurants and cafes as well as Siena’s most important museums, monuments and churches. Car parking is located just a few minutes’ walk from the hotel, outside the old walls. Enjoy breakfast in Hotel Antica Torre’s downstairs breakfast room, which once a medieval potter’s shop, with its stone arches. Borgo Grondaie is a large property built out of an old Tuscan farm, just half a mile from Siena Train Station, and one mile from the center. It offers a salt-water pool, and room and apartment accommodation. The property is furnished in rustic Tuscan style. All accommodations offer air conditioning, and the rooms feature Sky Gold TV channels. Borgo Grondaie features a Wi-Fi hotspot, an internet point, and a laundry room. Located just outside the ancient walls of the historic center of Siena, this hotel is a 10-minute walk from Piazza del Campo. This converted 19th century villa retains the charm and ambiance of its former origins as a private residence. The decoration in the recently renovated public areas bears the hallmarks of Italian classical design. In the summer you can appreciate the garden's tranquility and beautiful flowers; breakfast is served here in the summer months. While there is plenty to see and do in Siena, why not enhance your stay further with Hotel Villa Liberty's wine tour in Chianti Shire and Moltalcino? Free wine-tasting is included. Located on a quiet hill which gives the hotel its name, the property benefits from a magnificent view over beautiful Siena. Located just outside central Siena, but only half a mile from the bus and train stations, the wonderfully refurbished Hotel Vico Alto provides a peaceful and affordable base for your Italian travels. The hotel has 47 bedrooms, a living room, a lounge bar, sheltered gardens and an internet point. The hotel restaurant can house 100 to 130 people for banquets, ceremonies, and party groups. Enjoy superb Italian and Tuscan cuisine at your next event. NH Excelsior is a 10-minute walk from Piazza del Campo and 1 mile from Siena Train Station. It has air-conditioned rooms with modern décor, satellite TV and free Wi-Fi. With dark wood furniture and warm tones, the rooms have an elegant feel. They include a minibar, hairdryer and pay-per-view channels. Some also have a flat-screen TV or city views. An breakfast is served in the dining room. The Al Rastrello Restaurant provides a dining menu with Tuscan specialties and vegetarian options. Drinks can be enjoyed at the stylish bar. The Excelsior hotel features a large lobby with contemporary furnishings and a gothic chandelier. It includes a gym and a 24-hour front desk. The bus stop right across the property provides services to Siena’s main attractions. Siena Cathedral is half a mile away. In a beautiful, historic 16th century palace with carefully preserved stunning original features, these luxurious apartments are just steps from the ancient historic heart of Siena. The original design of the building is attributed to the famous Italian architect Baldassere Peruzzi and dates back to about 1520. The building has been owned and managed by the Coli Bizzarrini family from 1906 right up until the present day and the Italian Minister for Cultural Art has declared it as being of particular historical interest. The ancient historic beauty of the building mirrors its surroundings in the heart of the magnificent city of Siena and the hotel has panoramic views of the entire city. The beautiful original features provide a glimpse into the building’s illustrious past. The ancient beauty of the apartments makes them the ideal base from which to experience the ancient beauty of this magnificent city. Residenza San Domenico is located a 10-miute walk from Piazza del Campo square. It offers panoramic views of the city and Santa Maria Church, it has free Wi-Fi throughout and spacious rooms. The rooms are elegantly rustic, all provided with a raised sleeping area. All have an en suite bathroom, air conditioning, and a flat-screen TV. Siena Train Station is 3 km from the property, while Basilica San Domenico church is a 10-minute walk away. Set in a 15th-century building in the historic center of Siena, B&B San Francesco is right across from the Bruco Fountain, a 5-minute walk from Piazza del Campo. All rooms offer city views. Rooms at San Francesco B&B feature a private bathroom with shower, and are traditionally furnished, with air conditioning upon request. Breakfast includes coffee and pastries. The San Francesco is near the escalator to the multilevel parking at Porta Ovile. Eat breakfast while on Campo Regio Relais’ terrace while enjoying unforgettable views of Siena’s famous Torre del Mangia. The historic center of Siena is just steps away from your beautifully decorated room. This luxury bed and breakfast provides quiet accommodations on one of Siena’s main streets, close to the Campo and important churches and museums. Residenza d’Epoca Campo Regio Relais’s friendly staff are sure to make you feel right at home in this historic building. Made up of just 6 rooms, the residence also contains a reception, an elegant drawing room perfect for reading and a bar area complete with antique furniture. Rooms at Campo Regio are spacious and stylish and bathrooms are modern. One has its own terrace and a four-poster bed, while many have lovely views of Siena’s old town. Staff can book excursions or walking tours for you on request and will be on hand from 7am until 8pm to help you. Il Chiostro del Carmine is a restored 14th-century monastery, with great views of the countryside. It is less than a 10 minute walk from Piazza del Campo. Rooms at Il Chiostro are large and bright. They have fre Wi-Fi, satellite TV and antiques. You can sit out in the quiet courtyard at the Chiostro. Homemade pastries and Italian coffee are provided free of charge for breakfast and served in a typical Tuscan cellar. You can easily visit Siena by walking from the Chiostro del Carmine. There is a historic church next door. Locanda di San Martino is set in the center of Siena, just 220 yards from Piazza del Campo. It offers free Wi-Fi access and great views out over the town. The bed and breakfast is located in a medieval building. 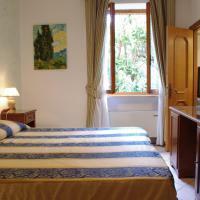 Rooms at Locanda di San Martino have typical décor and modern facilities like LCD satellite TV. You will also have air conditioning. Villa Elda enjoys a panoramic hilltop position just outside the center of Siena. You can walk to Piazza del Campo in 10 minutes. There is free Wi-Fi. All rooms at Villa Elda are air-conditioned and come with a flat-screen TV. Some enjoy beautiful views of the valley and the city. The Villa is surrounded by a cool garden, where buffet breakfast is served during pleasant weather. The rooftop terrace offers the best views. Villa Scacciapensieri is surrounded by a large park just outside Siena, and offers beautiful views of the Chianti Hills. This 4-star hotel offers a range of rooms, a swimming pool, and excellent cuisine. The center of Siena is just 1.5 miles away. Public buses number 3 and 8 stop in front of the Scacciapensieri, and run into town every 15 minutes. Villa Scacciapensieri's main building was built in the late 18th century and has rooms on the 2 upper floors. Other rooms are located in 2 annex buildings. On the ground level of the main villa you will find the 24-hour reception desk, a bar with lounge, a library, a private chapel, and a media room with internet access. The Altri Tempi Restaurant serves typical Tuscan cuisine, including homemade pasta. Hotel Santa Caterina is housed in an 18th-century villa just a few steps from Porta Romana. Enjoy breakfast out on the terrace with a view of the Tuscan hills. This small and cozy hotel is at one of the medieval entrances into the historic center of Siena. You can reach the heart of Siena in 15 minutes by foot. Rooms are decorated in a traditional, Tuscan style. They come with a minibar, satellite TV, and air conditioning. They feature either a private bathroom or a private shower. The Santa Caterina Hotel features a secure, private parking lot. Offering grounds with swimming pool, friendly service and free parking, La Colonna has a quiet location in Siena, a short bus ride or 20-minute walk from the historic center. All air conditioned, rooms here come with a TV, minibar and private bathroom. Free Wi-Fi access is available throughout the hotel. Breakfast at Hotel La Colonna is buffet style and includes fresh fruit, pastries and Italian coffee. The bar offers drinks throughout the day. There is a bus stop right outside for Siena's main square, Piazza del Campo and Siena Cathedral. The hotel is easily reached from the Siena-Firenze highway. Just outside the medieval city walls in Siena, Palace Hotel Due Ponti offers air-conditioned rooms, a restaurant, and free Wi-Fi throughout. Piazza del Campo Square is 3 km away, and private parking is free. Decorated in calm colour schemes, The Palace's simply furnished rooms come with a TV, safe and minibar. The private bathroom has free toiletries and a hairdryer. The restaurant offers Tuscan cuisine accompanied by a selection of local wines, and gluten-free plus vegan meals can be requested. Common areas include a hall with bar, a TV room and 2 external seating areas. Reception is open throughout the day. In the heart of Tuscany, the hotel is about 50 minutes drive from both Montepulciano and San Gimignano. Florence is reachable by car in just under 1 hour. 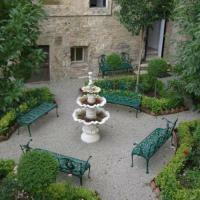 B&B Fonte dei Tufi is an old farmhouse with garden and great views of the Tuscan countryside. The property is 1 mile from Siena's historic center and provides free parking. Spacious rooms include LCD satellite TV, air conditioning and minibar. The private bathroom has a shower and toiletries. Wi-Fi is free. Breakfast features sweet and savory food, including fresh cake, fruit, jams, ham, cheese and more. During spring and summer, it can be enjoyed in the garden, furnished with tables, chairs and lounge chairs. The staff can provide tourist information and book tours. Public bus number 54 connects the Bed & Breakfast with the center, while bus number 3 takes you to the train station. They stop next to Fonte dei Tufi. Hotel Porta Romana is an 18th-century villa offering great views, just 15 minutes' walk from Siena's main square, Piazza del Campo. Buses stop right outside. Hotel Porta Romana is 100 metres from Siena's old city walls and is surrounded by beautiful Tuscan countryside. The hotel has its own gardens with a panoramic terrace. Rooms at the Porta Romana are simple yet comfortable. They have satellite TV and country views. You will enjoy friendly, helpful service at Hotel Porta Romana. Wi-Fi internet access is also available. The hotel also features an outdoor hot tub with panoramic views. Your free breakfast will be served in the characteristic cellar or in the garden. Certosa Di Maggiano is a former monastery in the Tuscan countryside, 1 mile from Siena's famous Piazza del Campo. It features unique rooms, free internet and free parking. Built in 1314, Hotel Certosa di Maggiano features an outdoor heated swimming pool, a fitness room and a tennis court, all free of charge. Rooms are former monastic rooms and include a free minibar. Surrounded by olive groves and vineyards, the elegant indoor lounges with a free internet point were designed by the famous architect Renzo Mongiardino. At the spa center, you can request a personal trainer and practice activities such as yoga, Pilates, Qi Gong and meditation. Il Canto Restaurant takes its name from one of the farms belonging to the Certosa, which still produces olive oil and fresh products today. All dishes are based on these local ingredients. Breakfast is served in a historic kitchen and outdoors under the pergola. During summer, meals are served on the porch near the pool or under the arches of the central cloister.